It was a night that Ke'Bryan Hayes won't soon forget, probably because it seemed to go on forever. Pittsburgh's No. 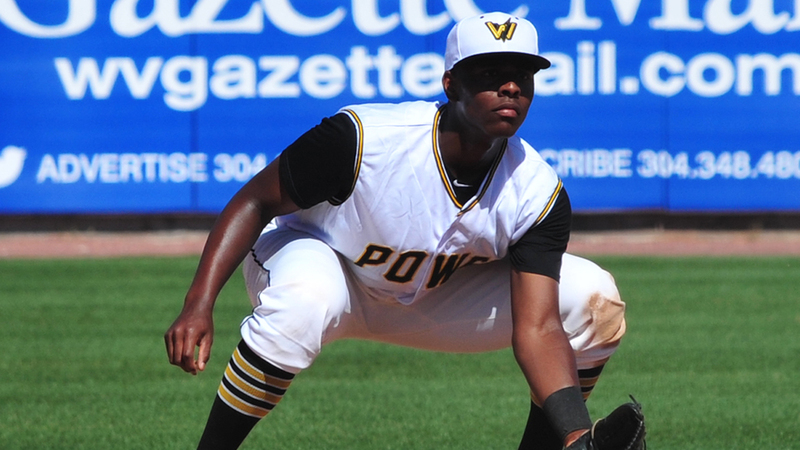 7 prospect had four hits -- including his first career home run -- and drove in five runs as Class A West Virginia outlasted Kannapolis, 8-7, in a 16-inning marathon at Appalachian Power Park that featured a little bit of everything, including a position player getting the win in relief. For someone playing in just his 66th professional game, Hayes took the long evening in stride. "I'm just glad we got the win," the 19-year-old said. "It was a long game, but I've played a few 12- and 14-inning games before, so 16 innings wasn't too far off." Although it took the Power five hours to win their seventh straight game, Hayes did all he could to lead his club to victory. The night didn't begin on a great note for Hayes, who grounded into a double play in the first inning, but it improved dramatically from there. He singled to center field in the third and then blasted a three-run homer to right-center in the fourth to give West Virginia a 5-1 lead. Hayes was clearly pleased to snap his 65-game homerless streak. "A 3-2 changeup," he said. "I've been waiting a long time to do that. It felt great for sure." But the son of former Major Leaguer Charlie Hayes wasn't done. After reaching on second baseman Daniel Mendick's fielding error in the sixth and walking in the eighth, Hayes rescued his team in the 10th with a two-run single to right-center after the Power fell behind, 7-5, in the top of the inning. He completed his four-hit night with a single to left in the 15th and was in the on-deck circle in the 16th whenMitchell Tolman's double to right plated Christian Kelley with the game-winning run. Hayes gladly accepted the win over a chance for his fifth hit of the night. "I mean, I would definitely love to be up there in that situation," he said. "But I knew [Tolman] was going to get it done there. He had great confidence at the plate all night and he came through for us." While not quite as long as the historic 33-inning affair between Pawtucket and Rochester -- which coincidentally occurred 35 years ago to the day -- the matchup that began just after 7 p.m. ET didn't end until Tuesday. "I'm a little tired, but not too bad," Hayes said. "We got the win and that's what matters most." Tolman also had four hits for West Virginia. Logan Ratledge -- a shortstop who had not pitched in either high school or college -- tossed a scoreless 16th to earn the victory.